OK. I admit I’m slow. 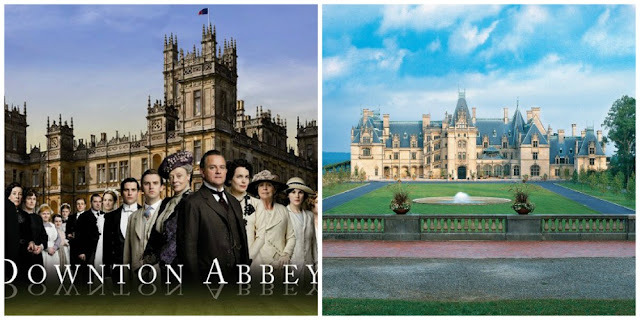 PBS’ popular series “Downton Abbey” just wrapped up its third season, and I just finished watching season one last week. I now cannot wait to get my hands on seasons two and three. No spoilers, please! Good thing for me, I was in the middle of season one when I visited Asheville’s Biltmore Estate last month. The Biltmore Estate in Asheville, N.C. is America's "Downton Abbey." Honestly, I think it made me even more captivated by the estate. George Vanderbilt and his family lived on this estate during the same time period as the Crawley family portrayed in “Downton Abbey.” As I went through the house, I could imagine the inner workings of the house just like I see on TV with the popular series. George and Edith Vanderbilt welcomed guests from all over the world to their home, Biltmore. Set on 8,000 acres and situated on the bank of Asheville’s meandering French Broad River, the 250-room French chateau is magnificent. It would take guests one hour by carriage as soon as they went through the Estate’s gate to reach the front door. Can’t you imagine all the servants coming out to welcome guests on arrival just like on “Downton Abbey”? George Vanderbilt provided a resort-like atmosphere for his guests. 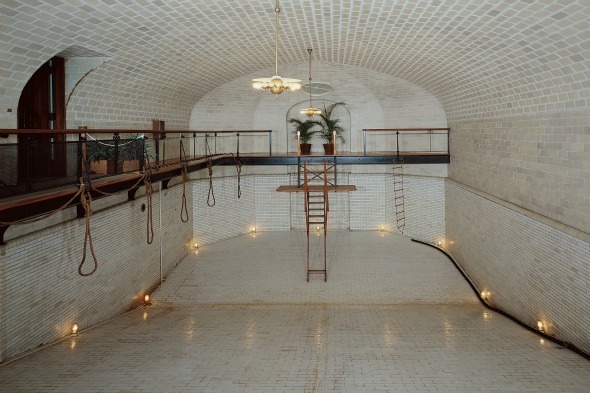 There was horseback riding, shooting, bowling alleys, and even a 70,000-gallon, heated indoor swimming pool with underwater lighting. Guests could ring the servants for a pool-time snack. Tea was served around 4 p.m., and a formal, white-tie dinner was served promptly at 8 p.m. in the banquet hall. It was not uncommon for there to be nine to ten courses served each evening. They were small portions, of course, but still I cannot even imagine a dinner so formal today. 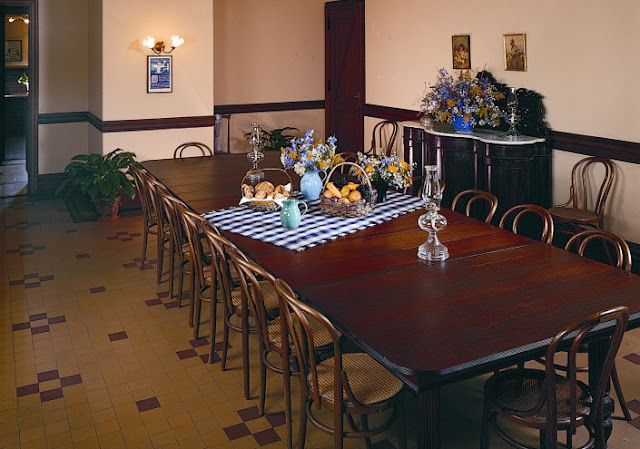 The Vanderbilts would have a family breakfast in this lovely room. It is one of my favorite rooms in the home. The Breakfast Room in the Biltmore House. I love the fireplace. And get this. It was not uncommon for the Vanderbilts and their guests to change 10 times a day. I’m serious. There was an outfit for breakfast, riding, shooting, tennis, croquet, tea, swimming, fishing, boating, bowling, and dinner. No wonder they needed a valet. The servants were certainly kept busy. And here I thought I was busy as just a mom. At least my children wear the same clothes most of the day. near the bowling alley, and if guests kept him up late becauase of their bowling then they would know it the next morning by the mediocre breakfast they were served. Biltmore offers a special tour called “The Butler’s Tour” that takes guests into unrestored rooms and mechanical areas to see how the house functioned on a daily basis. Guests also learn about the work of the domestic servants who worked for the Vanderbilts. The Vanderbilts provided living quarters for their staff. Females stayed in the house, while male employees stayed in rooms above the stable. 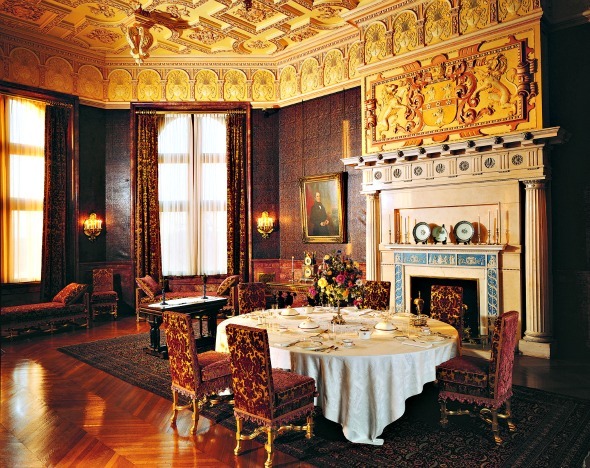 At Biltmore, each servant had a comfortably furnished, heated private room, and that was most uncommon for the time period. As many as 30-35 servants had three meals a day in the servants’ dining room. 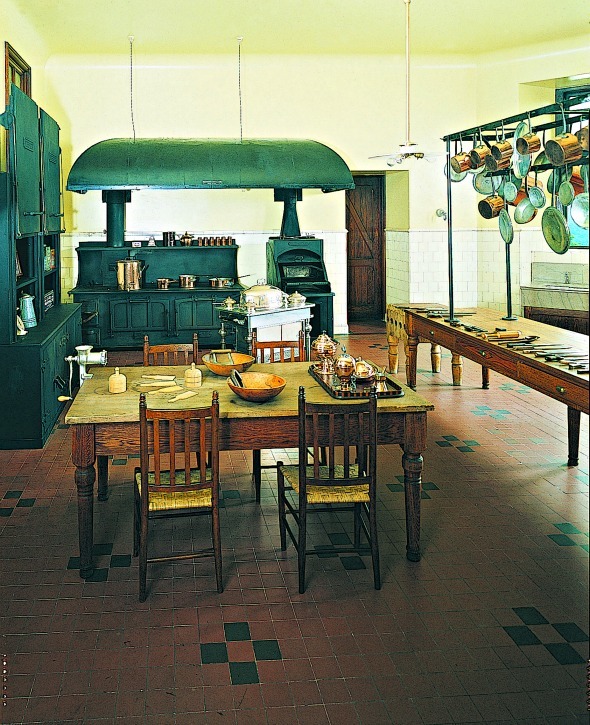 The servant's dining room. Imagine the gossip. They were allowed two hours off daily, but still on call. They received one afternoon and one evening off per week, and a half day every other Sunday. I imagine George Vanderbilt to have been kind like Lord Grantham is portrayed on the series. On the audio tour, it said that a girl in a role similar to Daisy on the series had to go up to the dining room, and she was so nervous that she dropped the dish on the floor. It was revealed that Mr. Vanderbilt got up and helped her clean the mess off the floor. The Servant’s Domain area is a very interesting part of the tour. I didn’t get a chance to take the extra “Butler’s Tour” because it would have been too much for my 3-year-old. Getting her through the entire house was a little challenging, but, overall, she did well. 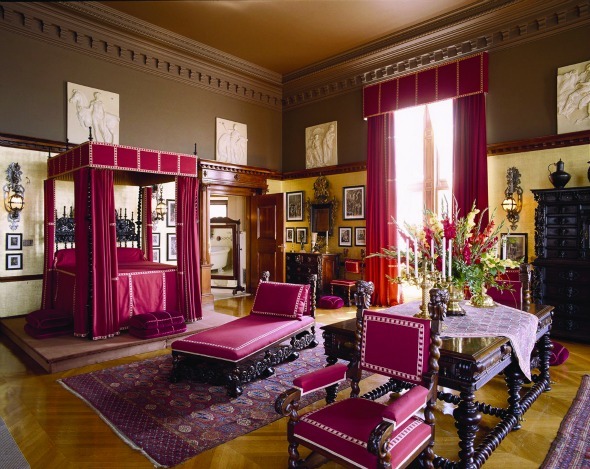 Mr. Vanderbilt's bedroom. Today, the Inn on the estate uses burgundy as an accent color in the rooms. I will go into more detail on Skimbaco Lifestyle this week about touring the Biltmore Estate with kids and, of course, lunch on the estate. 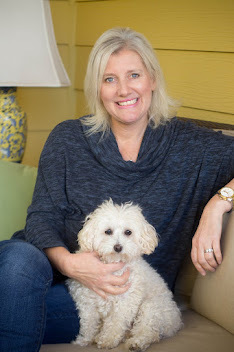 We chose to stay on the estate at the Inn at Biltmore with the kids, and I’ll be telling you more about the Inn later this month for my "Pack Your Bags" feature. 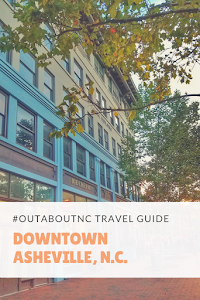 As I’ve stated before on this blog, it is one of my favorite inns in North Carolina. I like being there a little more without children, but it is certainly family-friendly, too. 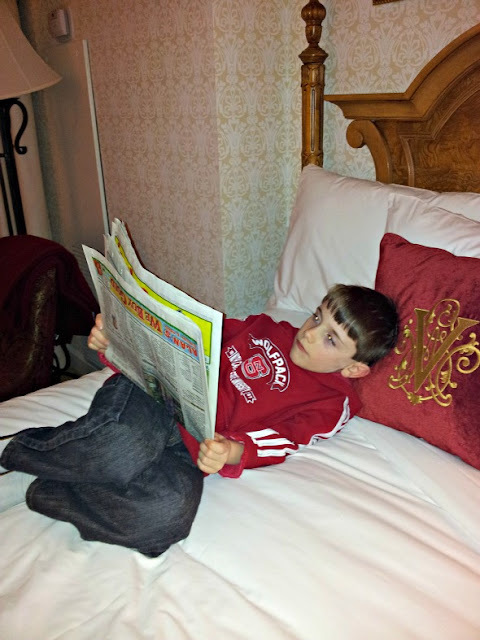 My son acting like a Vanderbilt reading the morning paper. I threw this photo in to show you that we were really on the estate last month. It was a record-cold day, too. The high was 25 degrees. 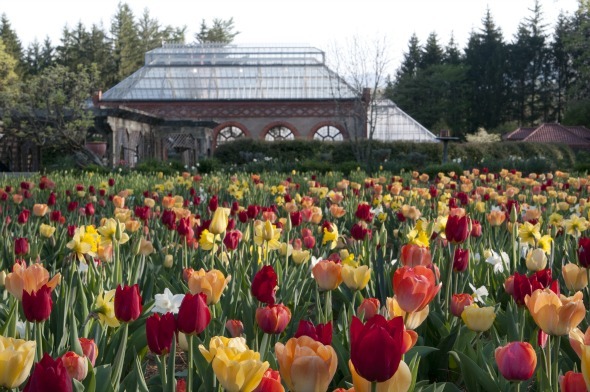 The Biltmore Estate will soon be welcoming spring with the Festival of Flowers season from March 21-May 31. I certainly can imagine a spring garden party at Biltmore just like they had on season one of “Downton Abbey” when news of the war broke out. I’ve really got to get my hands on season two, pronto. 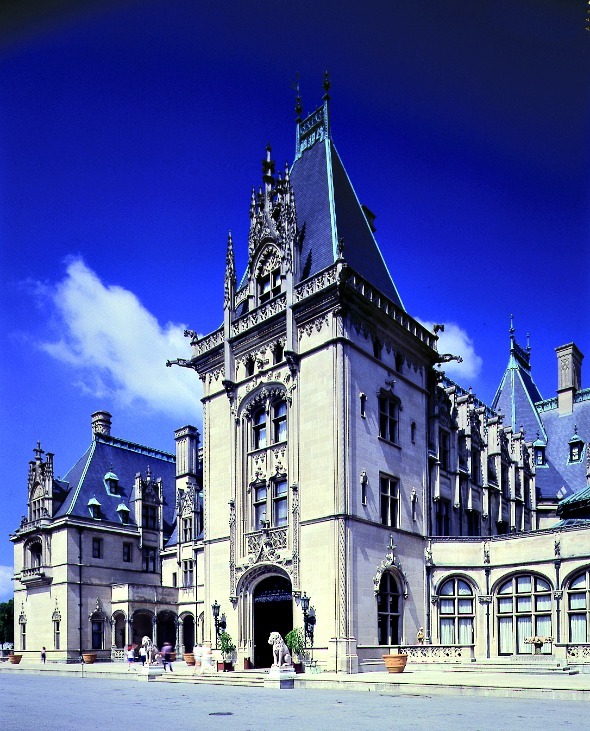 Visit the Biltmore Estate and Explore Asheville for your vacation planning tips. Photo credit: Inside photography is not allowed in the home. My thanks to the PR staff for working with me on this feature. All photos in this post except for my son in the Inn are from the Biltmore Estate's image collection. If you are new to the Hines-Sight Blog, you can follow my posts via e-mail by entering your e-mail address on my right sidebar. Every Friday on my Facebook page, I ask you to share some of your favorites that you have discovered on your travels or in your hometown. 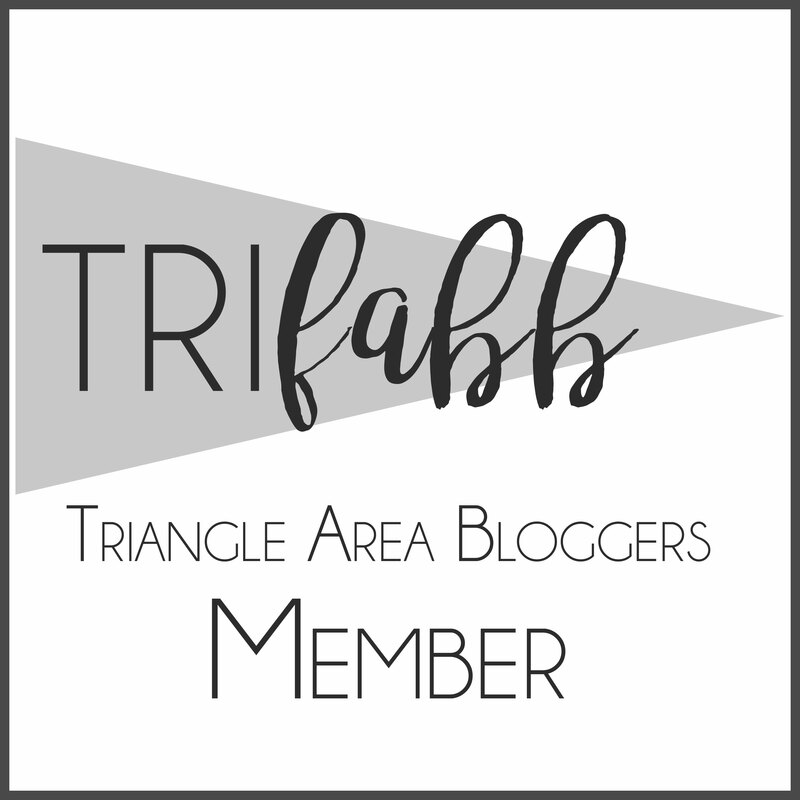 Follow me around town in Raleigh and on my travels for Skimbaco Lifestyle on Instagram. You can always catch me on Twitter. Links to all my social media accounts are also on my sidebar. Disclosure: My admission to the Biltmore Estate was complimentary.